STEUBENVILLE — The Fort Steuben Chapter of the Daughters of the American Revolution met March 9 at Froehlich’s Classic Corner in Steubenville with Regent Karen Blanc presiding. Blanc noted April 9 would mark the 80th anniversary of an historic concert in front of more than 75,000 people where Marian Anderson sang on the steps of the Lincoln Memorial after having been turned down to sing at Constitution Hall, due to a policy of the time only allowing white artists to perform. Blanc introduced program presenter Betsie Goad, Ohio Society Daughters of the American Revolution state registrar. Goad travels around the state conducting new member seminars. She also belongs to other lineage organizations, including Colonial Dames, Mayflower Descendants and Daughters of the American Colonists and is historic landmarks chair for the Ohio Society of the Daughters of 1812. Prior to the Mayflower there were very few women who made the voyage to America, Goad explained. Eleven girls came over, but only two survived the first winter. Goad said their father has sent them to America because they were the product of his affair. Eighteen grown women came, three of whom were pregnant and another in her third trimester. One woman fell overboard and died, and several others died as well during the two-month voyage. They lived in the boat after they landed while the men built houses on the land. Goad said if anyone became sick or injured, the women took care of them along with cooking, cleaning and doing everyone’s laundry. Goad said one of those surviving women was her relative. Every set of hands was useful at this time, according to Goad, as almost everything a family needed was created or gathered by the women. They learned to cook outdoors, dry meat and fish, make flour and use herbs for medicinal purposes. As their families died, the women would move in with other families. A widow was given rights to only one-third of her husband’s estate before laws later changed. During this time, the women were usually taught to read, specifically the Bible, but not write. Childbirth was high risk, with one out of eight dying. Many of the children didn’t live past their first year either. Goad said the Women Maiden’s statue located Brewster’s Park in Plymouth and the Pilgrim Mother’s statue listing the Mayflower mothers who perished commemorate these brave women. 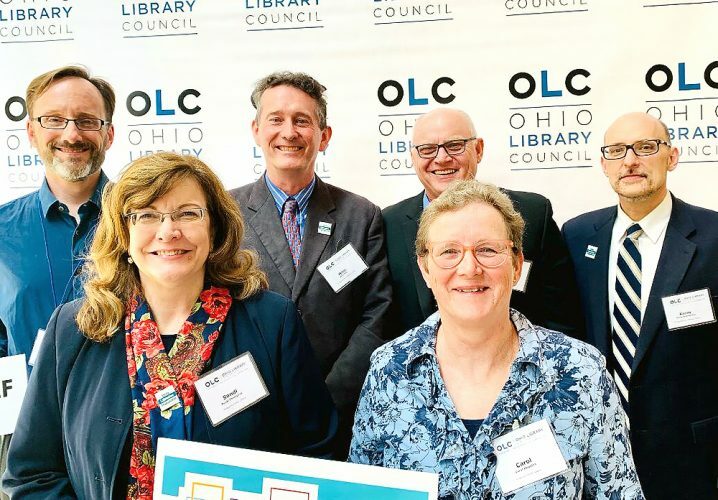 “There is a finite number of people who came over on the Mayflower, 111, that we trace our ancestry to,” Goad said, noting there are books that document the first six generations from the Mayflower descendants called “The Silver Boos.” OSDAR has placed several in libraries around the state of Ohio. It is believed that one was placed in the local library. There also is a museum that has some of the women’s actual possessions. Reports were give by Secretary DeeAnn Greene and Susan Welch, registrar. 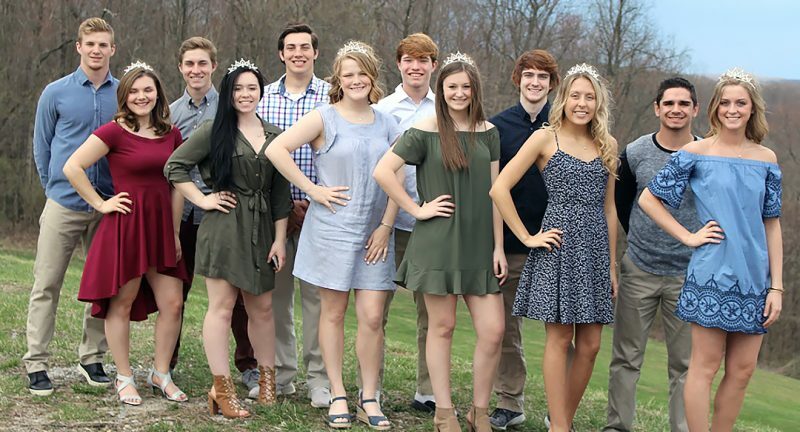 In a Junior American Citizens report given by Jo Ann Morrison, it was noted that the names of several students were left off the announcement of the state winners list. First-place winners were from the Jefferson County Christian School. They are grade 11, poster, Braden Thacker; stamp design, Preston Schilling; poem, Claire Novaski; and short story, Christian Davis. For grade 12, they are, poster, Jonathan Muller; and short story, Gabriel Beadle. Under women’s issues, Joseph will distribute a survey at the April meeting for members to fill out. It will aid her, she said, in making future committee nominations. She shared an article about what men and women do to protect themselves from assault. The article shows the difference on how men and women think differently when it comes to safety. Women concern themselves with thoughts of “only go out in groups” or “I can hold my keys like a weapon” or “I’m going to watch them pour my drink so nobody ads anything.” Women think often about how they would protect themselves while men rarely think about it. We should be educating both our daughters and sons about safety. In a schools report, Jo Ann Morrison said 11 students from Harding Middle School will be attending the state conference along with 18 parents and two teachers. Under new business, Valles read the list of proposed officers for the next term, which was approved. They include: Regent, Vickie Joseph; first vice regent, Francine Hauldren; second vice regent, Mary An Jesse; chaplain, Nancy Courtney; secretary, Janet Rymer; treasurer, Patty D-Aurora; registrar, Susan Welch; and historian, Donna Dennis. Valles and Vicki Joseph planned to attend the state conference March 28-31. The chapter was to be in charge of hospitality. The group voted to donate $25 toward that. 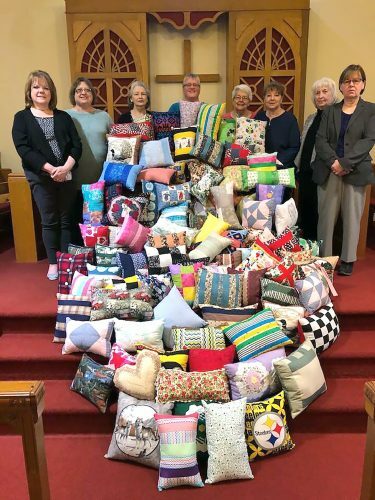 Valles displayed a sample lap quilt, asking members again to donate fleece. The chapter would like to donate to the Teramana Cancer Center and three dialysis clinics again this year. Valles gave “The Irish Blessing” as the benediction. The next meeting will be held Saturday at Froehlich’s Classic Corner in Steubenville. Members were reminded to bring their menagerie items to sell.